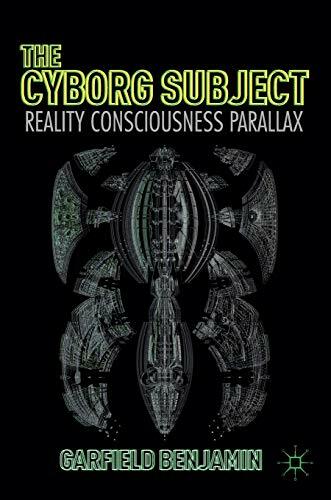 This book outlines a new conception of the cyborg in terms of consciousness as the parallax gap between physical and digital worlds. The contemporary subject constructs its own internal reality in the interplay of the Virtual and the Real. Reinterpreting the work of Slavoj Zizek and Gilles Deleuze in terms of the psychological and ontological construction of the digital, alongside the philosophy of quantum physics, this book offers a challenge to materialist perspectives in the fluid cyberspace that is ever permeating our lives. The inclusion of the subject in its own epistemological framework establishes a model for an engaged spectatorship of reality. Through the analysis of online media, digital art, avatars, computer games and science fiction, a new model of cyborg culture reveals the opportunities for critical and creative interventions in the contemporary subjective experience, promoting an awareness of the parallax position we all occupy between physical and digital worlds. Garfield Benjamin is a cultural theorist and digital artist working with issues of subjectivity and reality in the digital age. He completed his PhD in Digital Technology Theory and Practice at the University of Wolverhampton, UK. His internationally exhibited digital art practice includes computer-generated images, interactive games and augmented reality.